Matthew C. Cordaro holds B.S. and M.S. degrees from C.W. Post College and New York University, in addition to a PhD from The Cooper Union. He also studied at the University of Michigan and had associations with the Atomic Energy Commission and the Brookhaven National Laboratory. Matthew began his career at Long Island Lighting Company (LILCO) in 1966 after graduating from New York University with a master’s degree in nuclear engineering. He earned a Ph.D. in Engineering and Physics from Cooper Union in 1970, and remained with LILCO in various capacities through 1988 when he resigned as Senior Vice President of Electric and Gas Operations, Engineering and Construction. Matthew Cordero accepted a position as President of Long Lake Cogeneration and Senior Vice President of Long Lake Energy Corporation in New York City, where he was responsible for a $1 billion program of energy-provider development ranging from planning and construction to operation of several sites. 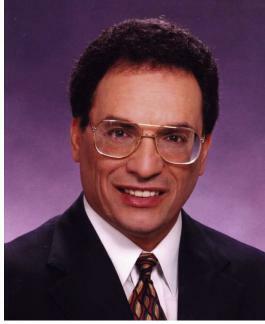 In 1992, Dr. Cordaro moved on to act as full-time consultant and project advisor to the Consortium to Convert Shoreham Power Plant (consisting of representatives from General Electric Co., CMS Energy Corp., Bechtel Group, Inc. and Panhandle Eastern Corp.). In 1993, Cordaro became president and chief executive officer of Nashville Electric Service — one of the ten largest public utilities in the United States with $700 million in revenue and among the lowest rates in the country. While at the helm of this major energy provider, Cordaro took a leading role in representing public power before industry and government organizations and gave testimony before the U.S. Congress and other federal agencies on numerous occasions. In 1999, the time came for Dr. Cordaro to test the waters of the independent system operator sector. At that time he took on the development of Midwest Independent Transmission System Operator, Inc. in Indianapolis, Indiana. There he assembled a highly qualified team and created a permanent headquarters and control center to operate the assets of 17 transmission-owning members who now collectively control 78,000 MW (megawatts) of generation; 52,000 miles of transmission lines; and over $8 billion in assets. In 2001, Dr. Cordaro became Chairman of the C.W. Post Campus of Long Island University (LIU) Department of Healthcare and Public Administration. He also served as Associate Dean for the College of Management at the C.W. Post Campus of LIU. He became Dean of the Townsend School of Business at Dowling College in 2009. Dr. Cordaro became a Trustee at the Long Island Power Authority (LIPA) in 2013. He is also a member of the New York Affordable Reliable Electricity Alliance’s advisory board. He is a past member of the board of directors of the Electric Power Research Institute, the American Public Power Association, and the Nature Conservancy of Tennessee, and has served on the editorial advisory boards of World Transmission and Distribution magazine and the Long Island Business News. AtCooper Fall 2009, The Cooper Union 2009. This entry was tagged LILCO, Matthew Cordaro, Matthew Cordero, Physics, Shoreham. Bookmark the permalink.